The storied history of Hawthorn's bitter rivalry with Geelong suggests another thriller is in the offing when the clubs clash in a high stakes encounter at the MCG. The Hawks host the Cats on Saturday afternoon with the winner enhancing their top-four hopes and the loser still a chance to miss the finals. From Geelong's loss to Hawthorn in the 2008 Grand Final, to the Hawks' 'Kennett's Curse' years when they lost 11 in a row to the Cats, to round two this season when Alastair Clarkson's men prevailed in a one-point stunner - history points to another enthralling contest. Far from playing down the importance of the clash, Clarkson has primed his players for a final in August. "Our mindset has been that this is like a final to us this week in terms of the opportunity and the exposure the younger players get and I'm sure the Cats are the same," Clarkson said on Friday. "They're in the same ballpark as us in terms of trying to work out how they can build their group so that they can really challenge. "That's why it's going to be such an interesting contest." While mindful of history, Clarkson said the prize on offer for the winner is enough to ensure Saturday's contest will be hot from the opening bounce. "The game is not going to be fuelled by the past ... it's going to be fuelled by the present," he said. One win separates the clubs on the ladder, with Hawthorn fifth and Geelong ninth. Clarkson made one change to the line-up that defeated Essendon by four points, with Irishman Conor Nash to debut in place of the ill Brendan Whitecross. The Cats made wholesale changes after dropping a thriller to Richmond, with Tom Stewart, James Parsons, Quinton Narkle, Rhys Stanley and Mark O'Connor included. 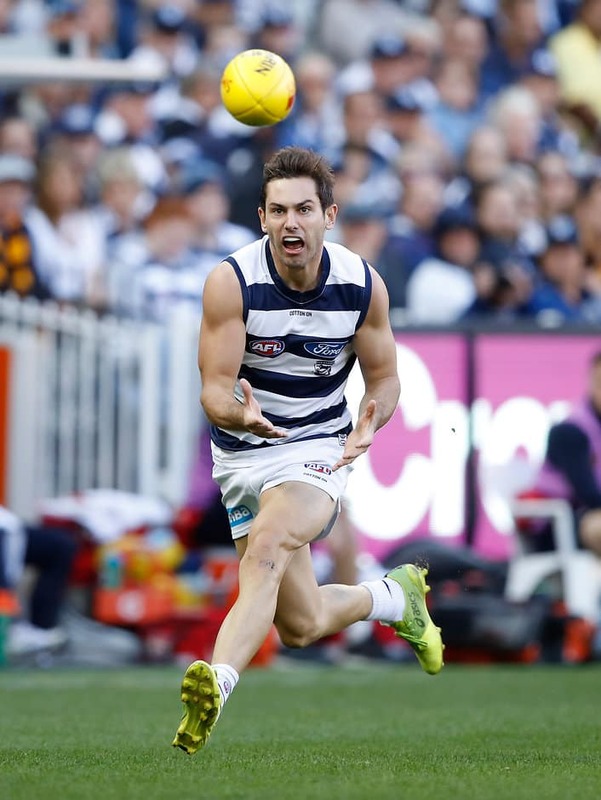 Geelong spearhead Tom Hawkins was kept to one goal against the Tigers after successive bags of seven, but Clarkson remains wary of the big Cat's influence. "He's probably the form forward in the competition," the coach said. "We know that when Geelong are scoring, whether he's scoring them himself or as part of the score chain, he's pivotal to that. "So we've got a big task to manage there."